A unique opportunity to take control of a classic Westfield Sportscar with plenty of old school flair on our adrenalin fuelled driving experience. You will unleash great feats of speed, agility and amazing performance in this very powerful machine as you screech around each corner! 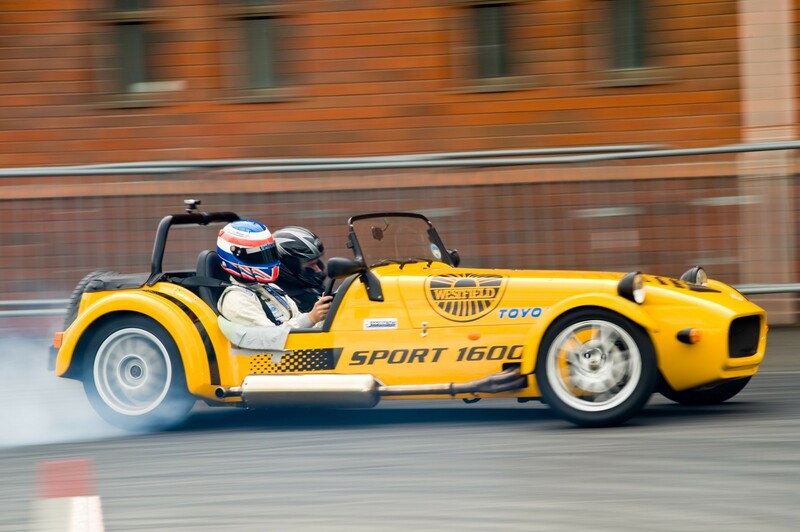 Ideal for anyone thinking of treating themselves to a brand-new Westfield and want a thorough “try before you by” or if you simply want to have a go at taking one round a track to feel the sheer exhilarating power of this incredible car at your command! You will be assigned one of our professional racing drivers while you take on your 12 laps round the track. They will be there to help or give you any pointers about handling these beautiful pieces of kit. On arrival at the venue, which is scheduled one hour ahead of your ‘Drive Time’, you will be required to fill out all registration forms. You will then receive an introduction to the car with full safety and track briefing plus tips on driving techniques to help you gain the maximum enjoyment. Followed by kitting up with helmet and gloves. Finally you will have a professional racing instructor provided to you as your passenger for your exhilarating experience on the track. The 2019 season schedule starts on March 11th and ends on 18th October 2019. Spectators welcome. Children should be supervised at all times. No pets allowed. A Collision Damage Waiver can be bought when booking or on the day for £25 which reduces excess from £5,000 to £500 and provides cover of £20,000 (Credit card details are taken and stored safely for duration of experience and returned to customer afterwards).